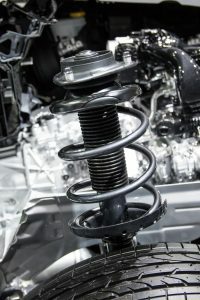 The suspension in your car consists of several different components; shocks, struts, control arms, bushings, ball joints, and much more. Suspension components are under sever “load conditions” every day and must work in unison. Just think, they all work to support the weight of the vehicle and its occupants. Another thing about the suspension that people don’t think about is that it can directly affect the longevity of the brakes and tires. When the suspension is weak, your stopping distance increases and the brakes have to work harder to stop the vehicle due to “body roll”. This is when the suspension is not working the way it should to hold the body to the chassis. Therefore, the vehicle “rolls” or “rocks” forward when stopping. Our inspection will always include ALL suspension components to prepare you for any upcoming service that is required or needed.